Nice to be able to see the sun and blue sky today...and without wind (1/25/17). 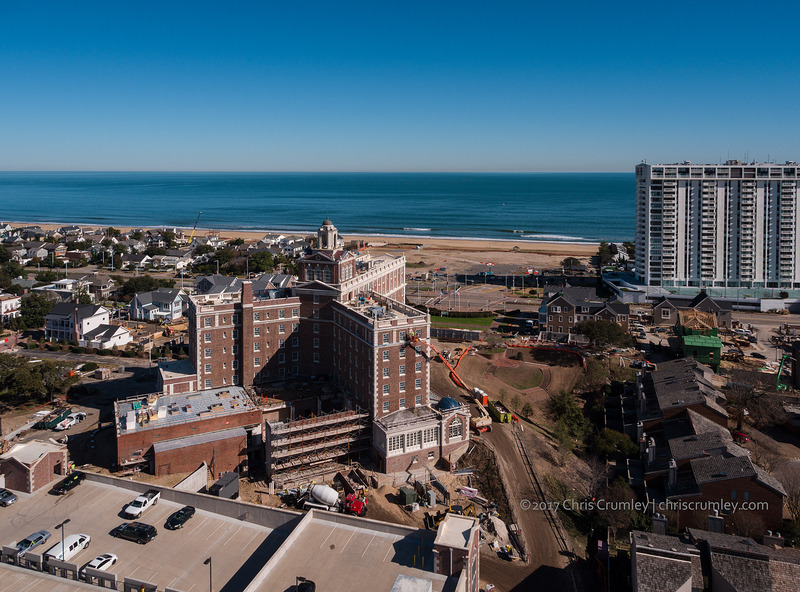 In the air looking down from 275' on the Cavalier Hotel on the Hill, Virginia Beach with the Atlantic Ocean in the background. Tech: DJI Inspire 2 from Ralph Rigdon FlyHighUSA with Olympus 12mm on X5S gimbal and camera.